I spent 13 years working in the fields of media, publishing, marketing and advertising. I’ve produced and promoted events of my own for over 20 years (ranging from intimate focus groups to large-scale festivals and conferences). I’ve sold sponsorships, set up tables and chairs, stood at the door collecting money, shown up early for sound check, stayed late and swept the floor. I’ve made huge advertising buys (including radio, TV and billboards) and I’ve stood on the median with a cardboard sign shouting at the cars passing by. I’ve spoken to and performed for as few as two and as many as 5,000. I’ve done it all. When it comes to social media, I get asked constantly about my best practices on Facebook for creating and promoting successful events. This list is intended for everyone using Facebook events in order to get people in a room (entrepreneurs, promoters, marketers, musicians, teachers, activists, healers, artists, photographers, you name it). Here are the top 8 tips I have to share with you based on my 33 combined years of experience in the event business. Enjoy! And, if I missed something, I want to hear from you at joranslane@gmail.com. Choose the Right Name – Get clear on who your event is for and how to best communicate what the actual promise or value is to the participant. If your class or workshop is about using meditation to repair your awareness and the health of the human connections around you, and it is for people just starting out on their spiritual path, then your event should be called “Group Meditation for Beginners” or “Healing Meditation” and not “Let’s Fix the World Now” or “Your Mind is Holding You Back!” There are always exceptions to every rule, and there are things you can do with subheaders and event descriptions to be bold and hyperbolic. But, as a rule, a clear and simple title is the best route. Use the Right Image – When choosing the image to upload to your event, remember that less is more and be sure it is sized to the appropriate dimensions so that it will display correctly on desktop and mobile screens. You don’t need to include the name of the event, the date/time, location, cost, etc. on the event image. You are not uploading a flyer (though you may separately upload the flyer to the event wall so that people may share it). Try to use an image that you have permission to use in your promotion. There are plenty of free image sites to choose from (Unsplash, etc.) and Google Images is not one of them — though Google Images as well as Instagram (and especially Pinterest) are great places to do visual research and get some creative ideas. A good rule in online advertising is to use faces or body parts. Pay attention to the colors in the image. Are they communicating the feeling or experience you’re trying to create with the event? Invite People – This might seem like a no-brainer, but I’ve seen people create Facebook events (or have them created for them) and neglect to invite a single person. Even if the person invited does not commit by clicking “Going,” they will continue to receive reminders and notifications until they click “Ignore” or “Can’t Go.” So, invite people — even the people you think may be on the fence about your event, product or service. Don’t invite the atheists, but invite the agnostics. Remember that people may need to see a post multiple times before they act on it. Don’t take it personally. Keep inviting them. Someone you haven’t seen in years may show up in your class or workshop and be very grateful that you kept them in the loop. Another great way of growing your network or audience is to create a Group of people who have bought from you, attended events or have signed up on your email list. That way you can easily (and quickly) invite those people every time. Remind (and Include) People – People are busy. Remind them that the event is coming up. Take a look at your list of “Interested” people and reach out to them offline with a text message or e-mail to remind them that the event is coming up. Post in the event as the date draws near (“10 more days!”, “Only 3 spots left!” etc.) to create a sense of urgency. Tag people on the event wall (“Jim, great seeing you at the store the other day! You asked me to let you know when I had another class coming up. Can you come this Tuesday?”). People want to be included, so remind them that you want them in the room and lower the barriers of entry by reminding them how easy it is to buy tickets or that the venue is “conveniently located,” or has “plenty of parking,” etc. Post Content – Not all of your posts in the event should be full of capital letters and exclamation points. You don’t want to put your potential students or clients in a constant state of “fight or flight.” You should post some insightful and valuable content as well. This may be a preview or tease of the material you’ll be covering at the event in the form of a blog post or video. It may be a screenshot of your presentation. Follow the Rule of Thirds — 30% should be your own content, 30% should be other people’s content (relevant articles, images or videos that you find interesting or inspiring), and 30% audience interaction (commenting on what other people have posted). You may also post event-related trivia or do a contest/giveaway with a pair of tickets. Share the Event – The event will be more visible if it is shared on your personal profile, your business page, and even shared with groups (neighborhood associations, school/parenting groups, music, gardening, you name it) who may be interested in the topic. Know Your Real Numbers – Just because 300 people say they are “Going” to the event on Facebook doesn’t mean 300 people will be lined up around the block when you open the doors. If you are not using a ticketing or registration system (like Ticketmaster, Brown Paper Tickets, Eventbrite, MindBody or Acuity) and are relying solely on walk-ups, then you might also need to rely on rough estimates in your planning and have a little faith. If you are using a ticketing system, generate weekly reports to see how many have registered. The week of the event should be your biggest and most active push (or for weekly classes, the day of the event). Don’t panic because you only have a few people signed up. Take a deep breath and see steps 3-6 above. Follow Up – After the event, revisit the wall and thank everyone for coming. You may share photos and recap some of the insights or big takeaways from the event. This lets the people who were in the room know that you’re grateful for their support and are paying attention (and also lets the people who weren’t there know what they missed). If you recommended a book, movie or podcast during the class, provide a link so that everyone can enjoy it. This is another way to provide more value and encourage people to come to your next event. By the way, do you know the date of your next event? Why not post it on the wall while your here? Joran Slane Oppelt is an international speaker, author, interfaith minister, life coach and award-winning singer/songwriter. He is the owner of the Metta Center of St. Petersburg and founder of the Integral Church. Joran is the author of Sentences, The Mountain and the Snow and co-author of Order of the Sacred Earth (with Matthew Fox) and Integral Church: A Handbook for New Spiritual Communities. Joran holds certificates in Religious Literacy (Harvard Online) and Sacred Storytelling (Multifaith Storytelling Institute). He serves as President of Interfaith Tampa Bay and Ambassador of the Council for a Parliament of the World’s Religions. He has spoken around the world about spirituality and the innovation of religion and shared the stage with Barbara Marx Hubbard, Matthew Fox, Lynne McTaggart, Ken Wilber, Jane Goodall and Michael Beckwith as well as Blues Traveler, Blind Melon, Men at Work, The Fixx, Saliva and John Doe (from X). See if Creativity Coaching with Joran is right for you. 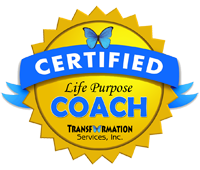 Visit the coaching website to schedule your FREE 30-minute consultation today. Sign up for Joran’s course, Marketing With Purpose: How to Promote Your Small Business (or Non-Profit) with Ease. NEW: Get a sample of Joran’s new book “Sentences” delivered daily to your inbox!